1. Keep maintaining my main goals for the year 2014: I blogged here about my two 2014 resolutions. They were to make more quiet time/devotional time each week, and also to get a good workout in at least once a week. If I can successfully maintain these through this month then I am off to a good start! The wonderful devotional that I have started!! I actually received this book through a blogging opportunity- a review of the book will be coming at the end of the month! 2. Take a friend from my new school out to see my old school: This is something that I wish I'd had the chance to do last semester, so I'm determined to make it happen this month! 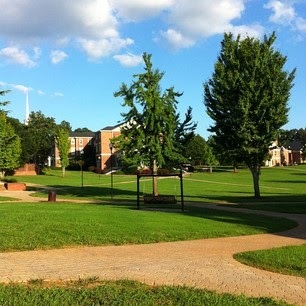 Even though I transferred, my former college still means a lot to me. I made some of the best friendships that I've ever had during freshman year there, and I also grew in my faith and learned a lot about myself!! The school itself is beautiful and will always be a special place to me- I'm so happy that it's not a terribly long drive from Charlotte! I think that sometimes my friends and sorority sisters here at my new school think that I talk too much about my former school. That may be true, and it's something that I'm trying to work on. ;-) But I feel that it would be very special for me to bring one of my new friends out to see this place that means to much to me! I might actually be making this goal come true this weekend... I might be taking my Big in ADPi, Jess, out there with me for a Big/Little adventure day! 3. Begin my freshman year scrapbook: Scrapbooking was a huge passion of mine in high school! Over this past Christmas break I actually found myself going through some of my old scrapbooks in my room at home, and I was quite sad that it had been so long since I'd made one! So I decided to change that. Since my former college has been on my mind a lot lately, I'm going to make a scrapbook for my year there! Once that is done I hope to jump right into starting on a scrapbook for this year, but I'll take things on month at a time. :-) The good news is that I still had enough supplies so that the only thing that I had to buy were picture prints! One of the pictures that will be going in my freshman year scrapbook! 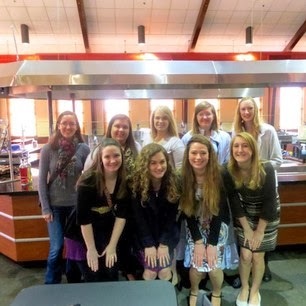 These are a few of the lovely ladies that I went to church with last year! I will give y'all an update next month on how I did with accomplishing these goals! I'm excited to make things happen in 2014! My dad always takes me to Panera Bread right before I fly back to school! 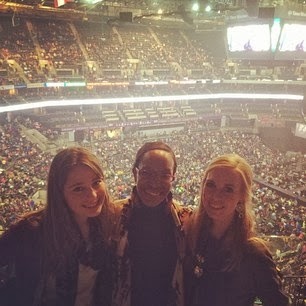 Last night my roommate Mel and I met my best friend C (from my former school) for Winter Jam in Charlotte! Winter Jam is an awesome Christian concert that featured so many great artists. Plumb, Tenth Avenue North and the Newsboys were my favorite acts! Stay tuned this week for more pictures from England!! Love Tenth Avenue North & Newsboys!! Would love to go to that one day!! I love how you mentioned that you felt by sharing goals on your blog will help you feel more accountable because that is the exactly how I feel! These are great goals for the month. 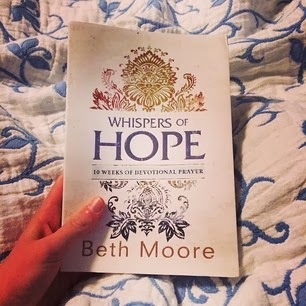 I am doing Beth Moore's Breaking Free Day by Day devotion and enjoying it. I look forward to reading your review of her newer book. Those are all great goals for the month of January! 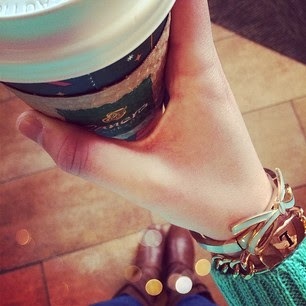 Have you begun the scrapbook yet? I look forward to seeing the finish product whenever it is completed!